Moffat County Commissioner Ray Beck, left, congratulates Moffat County Department of Human Services Director Dollie Rose with a C-Stat Award commissioners had accepted on behalf of the department at a recent Colorado Counties Inc. meeting. Also pictured is Commissioner Don Cook, left, and Commissioner Frank Moe. CRAIG — The state of Colorado recently recognized the Moffat County Department of Human Services for most overall improved performance among counties for calendar year 2017. The award is for Most Improved Overall Performance on County C-Stat Measures for the 2017 calendar year and is the second C-Stat performance award earned by the department in 2017. “C-Stat moves Colorado Department of Human Services to an outcomes-oriented and collaborative approach to effect change at every level. The goals are to collect timely data, increase transparency, conduct regular executive meetings to assess the effectiveness of the strategies and to identify new performance measures, all in support of continuous quality improvement,” according to the CDHS website. This is the second C-Stat award for Moffat County. The first recognized its ability to provide rapid response in child welfare cases, as reported by the Craig Press in December 2017. Of Colorado’s small counties, Moffat County exceeded the goal on 11 measures, with other small counties exceeding the goal on 8 measures. “When comparing last fiscal year to the current fiscal year, Moffat County made some substantial gains in performance related to Colorado Works Entered Employment. Moffat County also demonstrated significant improvement in the Safety and Well-Being category between 2016 and 2017, demonstrating performance gains in the Adult Protection Service measures and in three out of the four Child Welfare measures,” according to the Moffat County 2017 Annual County C-Stat Performance summary. 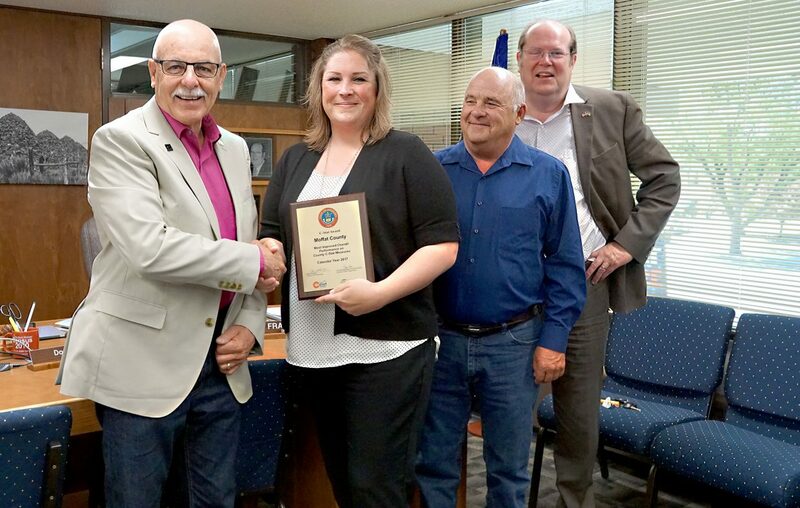 At a June 12 meeting, Moffat County commissioners presented Department of Human Services Director Dollie Rose with a commemorative plaque the commissioners had accepted on behalf of the department at a recent Colorado Counties Inc. meeting. 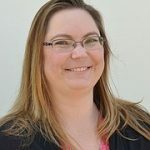 “This award is another example of the hard-working, dedicated staff and leadership we have here at Moffat County Department of Human Services. Without each and every team member and the wide variety of individual strengths, this would not be possible,” Rose said. Commissioners congratulated the department for continuing to improve services to all citizens and, in turn, Rose recognized the county’s support of her team.